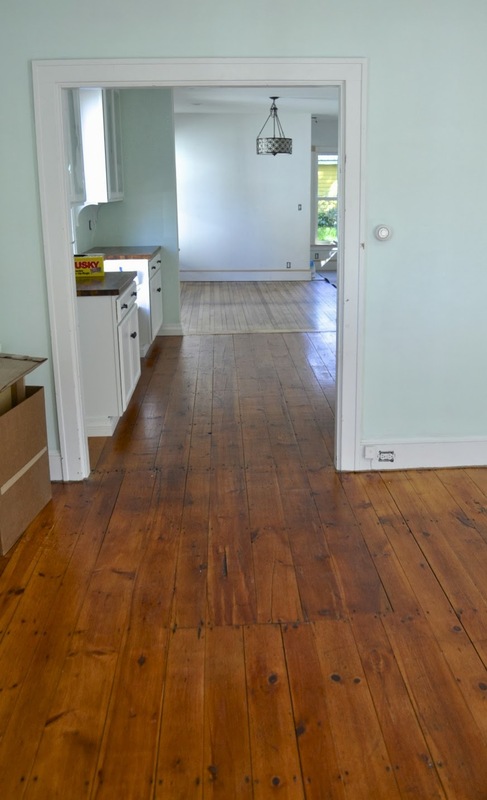 We've tried to preserve the original floors from this 120 year old house as much as possible. But it hasn't been easy. There was a lot a lot of work involved. In the living room and kitchen, we have wide pine boards, that have been covered with carpet for decades. 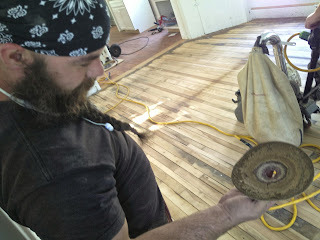 They have a beautiful patina, that we didn't want to lose by sanding them down. After thinking through our options, we opted to do a 'buff and coat', which left that beautiful deep color, but added a new layer of protection for years to come. 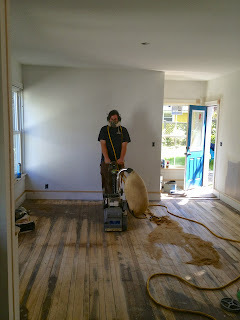 The back of the house, the new dining room, has an unusual floor. Most of it has alternating wide and narrow boards across the room. Many of them are very long - 12-13 feet! 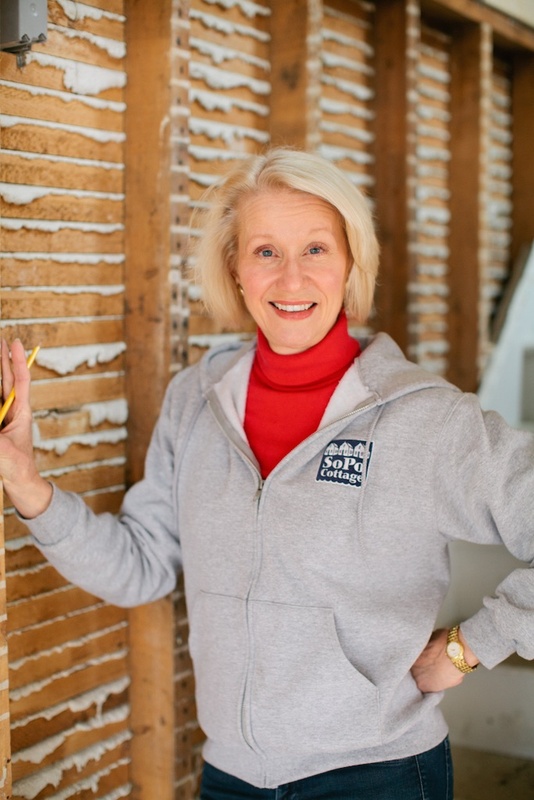 If you buy flooring now, you usually don't get lengths greater than 6 feet. So these are a wonderful bit of history! Unfortunately, one section of the room had a big cutout in it, almost like a trap door to the basement. We had this repaired with other boards from the room and tried to continue the alternating floor boards as much as possible. What kind of wood is it you ask? Well, it's pretty interesting - the flooring includes maple, birch and beech. So it has lots of variation! The guys had to do a lot of sanding, to get it ready for coating. They started with a 20 grit paper and worked their way up to get a beautiful finish. Look how much the first coat of sealer brings out the color in the wood! 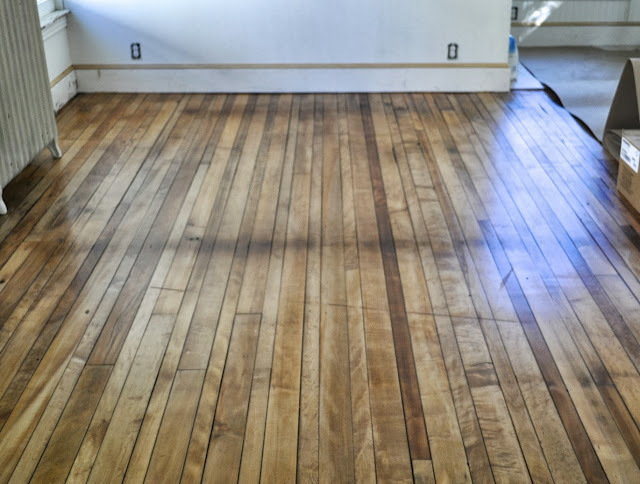 And after two additional coats, these old floors are a thing of beauty. What kind of sealer did you use on the wood floors? 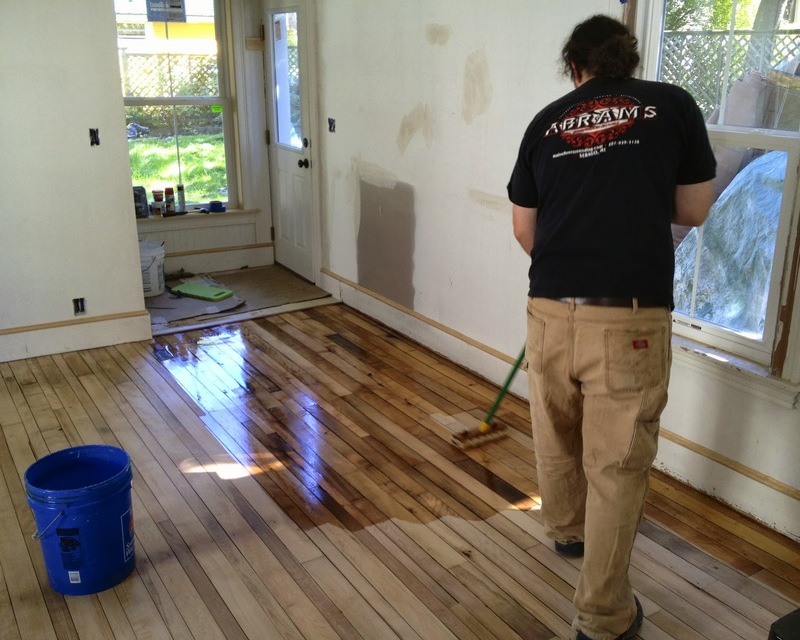 Hi Alyse, I know the guys mixed some sort of sealer with the polyurethane in the first coat. But I'm not exactly sure what it was. After that coat, they buffed again and did 2 more coats of poly. Hope that helps!